Current selected tag: 'human anatomy drawing'. Clear. 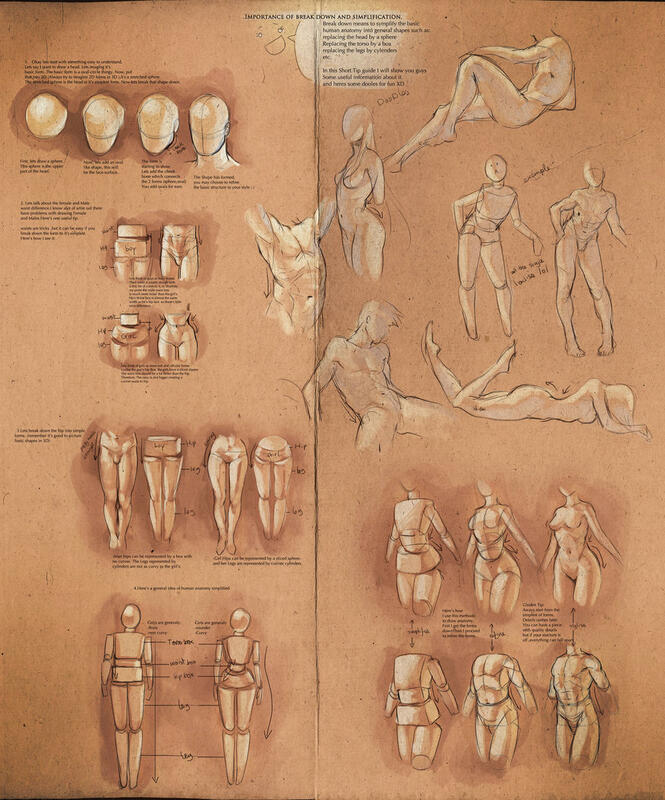 "This is the first of a number of articles teaching everything you need to draw the human body at its most lively. But before embarking on a study of anatomy, we're going to work on an essential preparation: learning to see, and to capture the energy of a body in motion or at rest." This comprehensive guide will help you develop the ability to properly observe energy in the human anatomy. The energy of the anatomy refers to body language that convey emotions such as happiness, sorrow, exhaustion, and hurry. Learning how to convey such emotions in your drawings will allow you to create expressive and lively drawings of human subjects. although these are very vague drawings, I will use them as a reference because I have a hard time capturing characters in motion.